1. The International Federation of Musicians (FIM) was established in 1948. The objectives were to represent and defend music performers’ interests at an international level. It is the only body which represents musicians’ unions, guilds and professional associations worldwide and counts about 65 national organisations in 57 countries covering all regions of the world. – The Presidium is made up of the President, the four Vice-Presidents and the General Secretary. It meets on a regular basis in order to further the Federation’s activities. 3. For many years now, FIM has been recognised as an international NGO (non-governmental organisation) in the eyes of diverse intergovernmental organisations operating in its field of activity, and in particular WIPO (World Intellectual Property Organisation), UNESCO (United Nations Educational, Scientific and Cultural Organisation), ILO (International Labour Organisation) and also the European Commission, the European Parliament and the Council of Europe. In this capacity, FIM plays an important role in international negotiations concerning the development of performers’ rights. Thus it was one of the driving forces in the adoption in 1961 of the Rome Convention which was the first international treaty to recognise intellectual property rights to the performers. FIM subsequently took part in the negotiation over a succession of European Directives in this field together with the revision of certain national legislation. It drew up founding principles for the collective management of performers’ rights and initiated, alongside unions, the setting-up of numerous collecting societies managing performers’ rights. More recently, FIM has taken an active part in negotiations over the WPPT (WIPO Performances and Phonograms Treaty) adopted in December 1996. This Treaty, also described, together with the WCT, as “Internet Treaty”, was drawn up with the objective of adapting the protection for performers to digital technologies. Its main difference from the Rome Convention is to recognise certain performers’ rights which, up till then, had not yet been internationally recognised. Thus article 5 recognises a moral right concerning performances fixed in a phonogram, article 8 provides an exclusive right of distribution of the phonogram, article 9 provides an exclusive right of rental of the phonogram, and article 10 provides an exclusive right of interactive “making available” of the phonograms. It is on the basis of article 10 that uses of recordings in the digital context can be regulated. However, the WPPT does have one serious loophole insofar as governments decided to exclude audio-visual fixations from its field of application, which therefore precludes any uniform protection of performers’ rights. 4. In the context of ever-intensifying international and regional negotiations, FIM had to take part in an increasing number of meetings, particularly with regards to the implementation of the WTO/TRIPS Agreement (Agreement on Trade-Related Aspects of Intellectual Property Rights), of the WPPT, or to the possible revision of the Rome Convention, but also for the drawing up of the European directive related to the rights in the “Information society”. FIM is also involved as an expert in certain works being carried out by the International Labour Office. In this capacity, it has been consulted on the proposed ILO Convention covering “contract labour”, which aim is to create certain minimum rights which would enable millions of workers throughout the world to obtain basic social guarantees. FIM is also taking part in works which ILO is carrying out in the field of “informal” or “atypical” employment to which a certain number of musicians, particularly in the developing countries belong. In more general terms, FIM is involved in works on the protection of casual and free-lance workers. FIM has also taken part in UNESCO initiatives towards the recognition of the status of the artist. It contributed to the drawing-up of the Recommendation on the status of the artist adopted in 1980 in Belgrade by the UNESCO General Conference, then in June 1997 in Paris to the UNESCO World Congress for implementation of the Recommendation. In addition, FIM cooperates with UNESCO in the framework of the Global Alliance. The purpose of this UNESCO programme is to develop projects on the basis of partnerships with public, private and civil societies for promoting cultural industries in the developing areas and ensuring copyright enforcement. 5. FIM, alongside its members, regularly intervenes with governments for the respect of musicians’ social and intellectual property rights and, more generally, the promotion of cultural policy. This triple concern is illustrated by the many interventions made in support of permanent orchestra musicians. Salaries should match the technical and artistic qualities required for the position of a professional orchestra musician. Working conditions should be such that one should be able to evolve in a context that would respect minimum security and comfort standards. Musicians should be able to benefit from a system of social protection. Moreover, respect of intellectual property laws implies that recorded performances should not be exploited without the artist’s consent or at least without financial compensation. Finally, promoting cultural policy implies raising international awareness so as to defend the preservation of permanent orchestras whose existence could be jeopardised. 6. 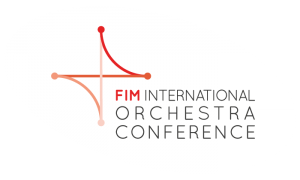 FIM regularly carries out studies and adopts recommendations on topics such as musicians’ health, preservation of live performances opportunities, orchestra musicians’ salaries, international norms on music scores and, more generally, questions relating to musicians’ working conditions. 7. As part of its extension of activities and its regional approach, FIM, which has a significant number of member organisations in emerging or developing countries, set up in 1997 a regional group in Africa (the FIM African Committee or FAC), and in Latin America (the Grupo Latinoamericano de Músicos or GLM). 8. FIM has set out to draw up standard legal provisions and standard contracts so as to help regional committee members to promote efficient protection for musicians, compatible with international legislation and regulation, and adapted to developing countries. 9. FIM has working relations with non-governmental international or regional organisations involved in the performing arts. It is a member of the IMC (International Music Council) with whom it regularly organises events in Europe as well as in Asia, Africa and Latin America. 10. Ever since the two international artists’ Federations have existed, they have worked in close relationship and permanent on-going co-operation. The FIA (International Federation of Actors) is the historical and natural partner of the FIM and the two organisations pursue the same objectives of safeguarding and developing the interests of performers from economic, social and artistic points of view. By defending in their respective countries the interests of professionals with similar conditions of employment, their member unions are usually closely bound together. 11. UNI-MEI (UNI-Media Entertainment International) is another important partner to FIM. This international non-governmental organisation represents technicians and specialist workers in the audio-visual and performing arts spheres, as well as authors (writers, script-writers, film-makers, photographers, authors of graphic works etc.). UNI-MEI is a division of UNI (Union Network International), an organisation originating from the merger of MEI (Media Entertainment International), FIET (Fédération Internationale des Employés et Techniciens et cadres), CI (Communications International) and IGF (International Graphical Federation). In 1995, FIM, FIA, UNI-MEI and IFJ (International Federation of Journalists) set up ICEMU (International Committee of Entertainment and Media Union) with a view to developing international strategies on topics of mutual interest. 12. In the same way, FIM and its two sister Federations, FIA and UNI-MEI, created in 1997 an entity called IAEA (International Art and Entertainment Alliance) with a view to implementing common projects, particularly at a regional level. 13. The three Federations set up in parallel for their Latin Amercian members a regional group called CREA (Coordinadora Regional de Espectáculo de las Américas), made up of the FIM-GLM, FIA-BLADA and UNI-MEI-PANARTES. 14. Similarly, for their European members, FIM, FIA and UNI-MEI created an entity called EAEA (European Art Entertainment Alliance) made up of the European group of FIM, Euro-FIA and UNI-Europa-MEI. EAEA is a member of the ETUC (European Trades Union Centre). The European Commission invites the EAEA to attend its meetings as sole representative of performing arts workers in the Committee for sectorial social dialogue founded for those professions in the live performing arts sector. In the framework of this Committee, the social partners have commissioned a study on the identification and promotion of “good practices” likely to foster live performances in Europe. EAEA also sits, in the same conditions but alongside IFJ, on antoher European social dialogue committee, dedicated to the audiovisual sector.